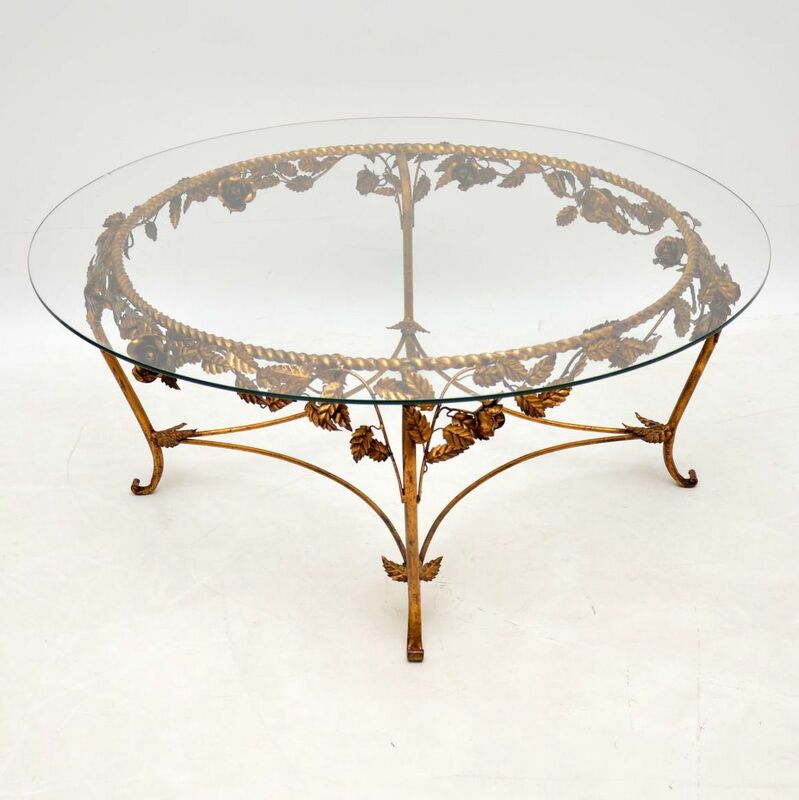 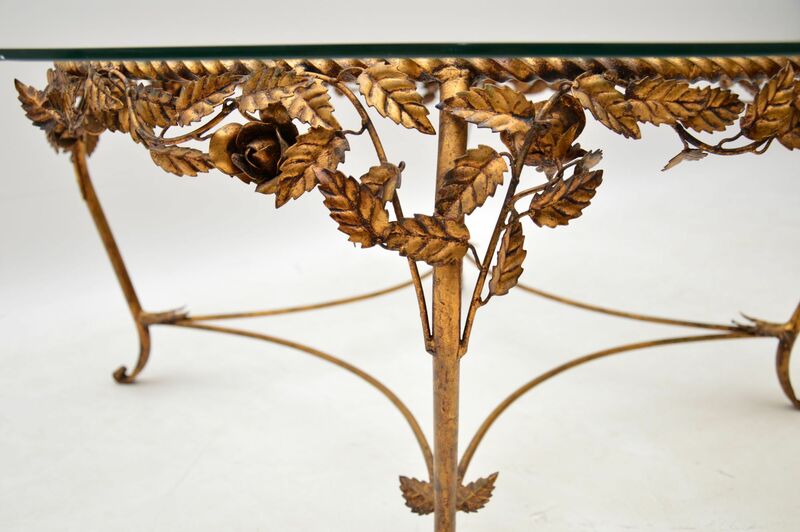 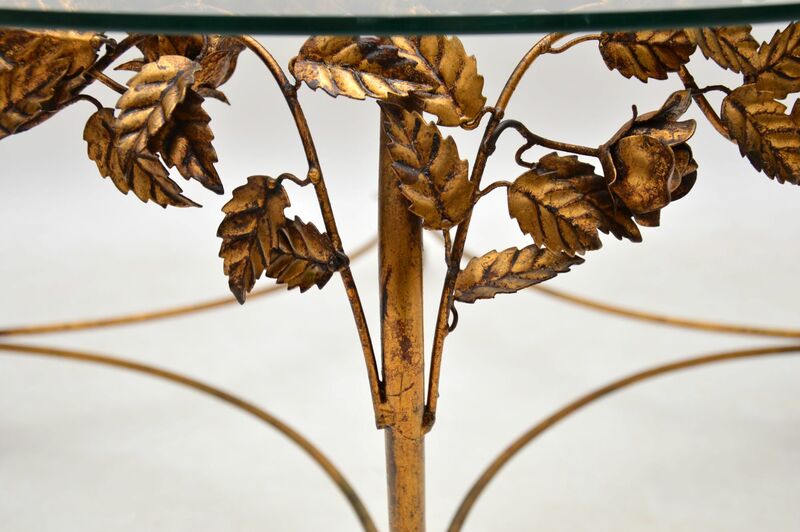 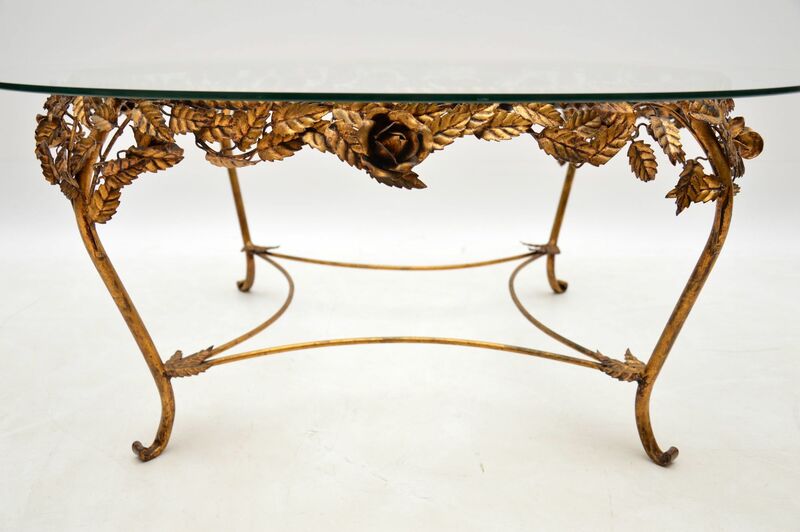 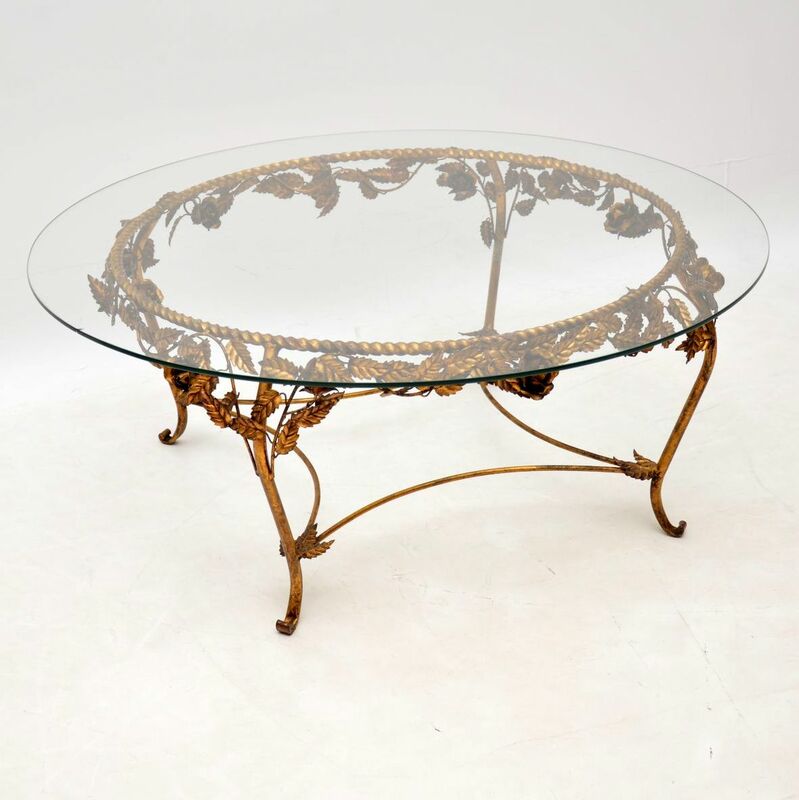 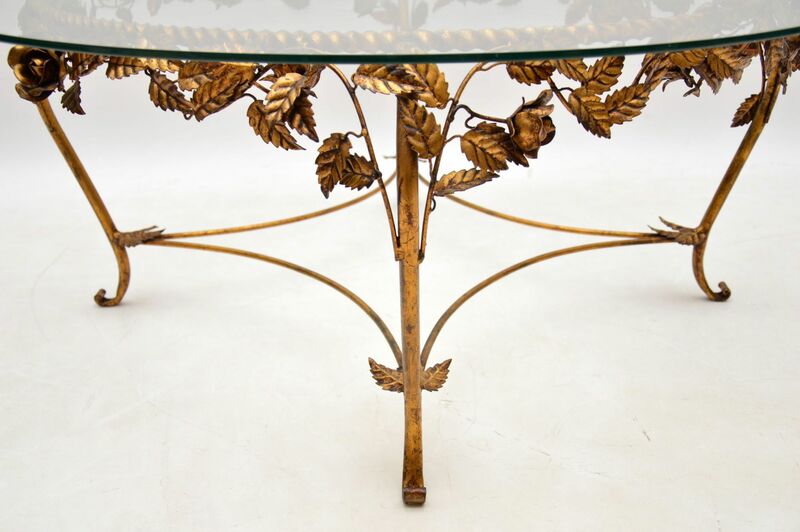 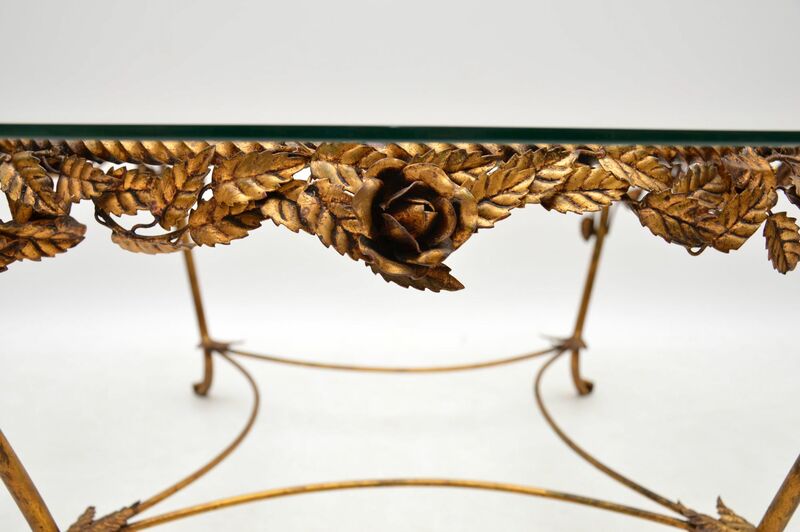 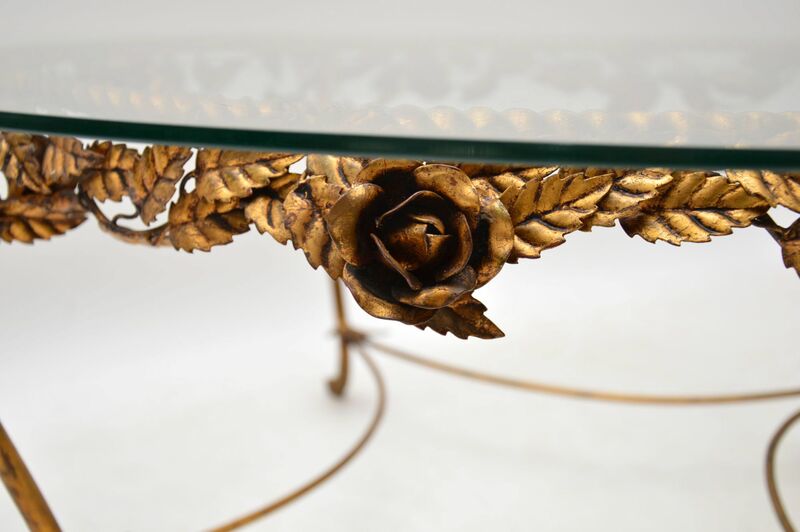 A stunning vintage coffee table made in France, this dates from around the 1950-60’s. 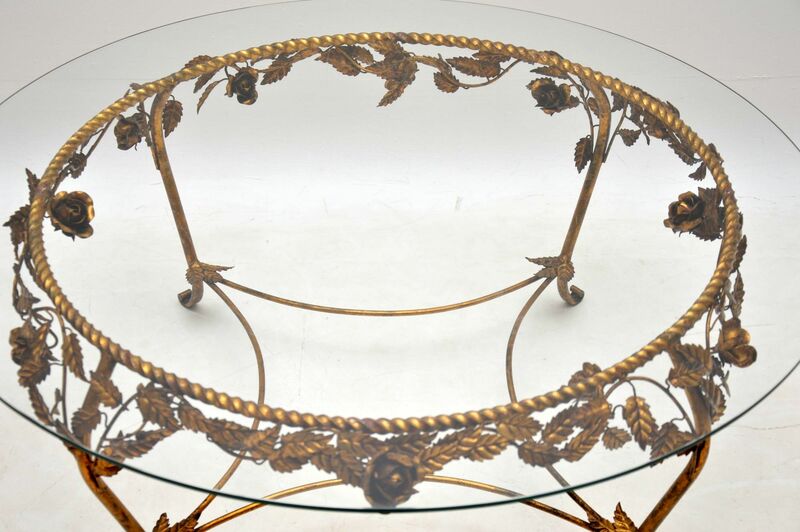 It is of superb quality, with a beautiful gilt metal frame in a floral design. 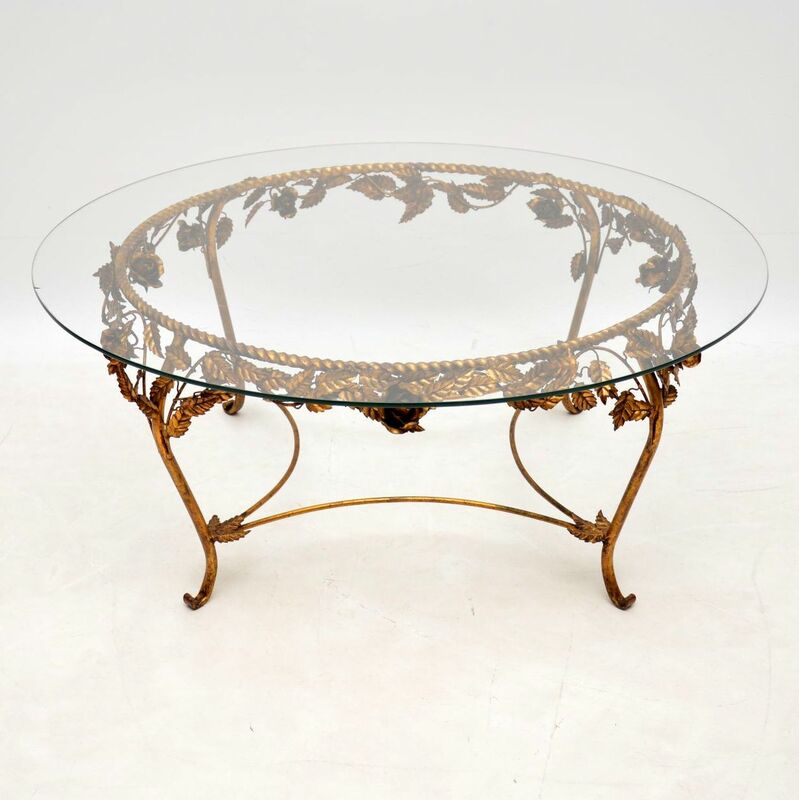 The circular toughened glass top has been newly made in the exact same size as the original, so it’s in perfect condition. 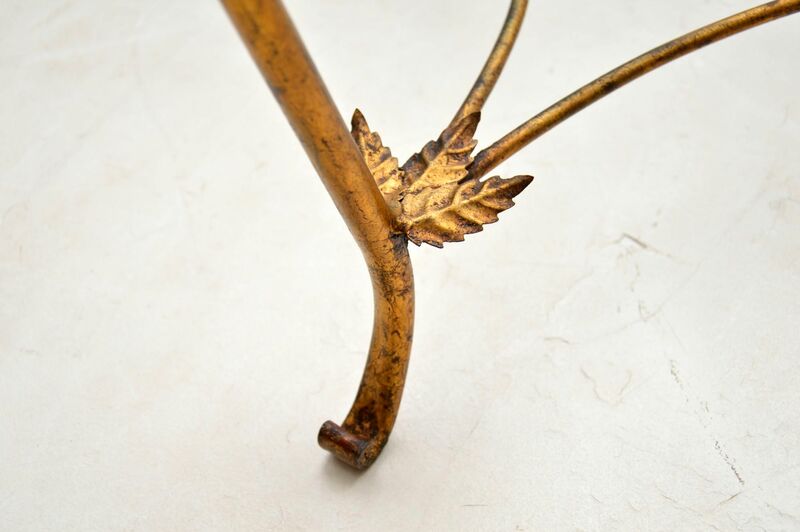 The frame has only some minor surface wear and a lovely patina, it’s also in great condition.